Price 10¢ a copy, or 50¢ a year — Darned if I am going to the trouble of mailing it for nothing. This issue one half million printed—don't worry, I can use them for wrapping paper. The newspaper that grows as you turn each page—excepting Page 5. This edition was printed at The Desert Barnacle, Coachella, Calif. Another all-for-the-desert publication. It is believed Gila Howard was the first white child born in Arizona. He was born on the river boat Gila, on the Gila River. The Mackay School of Mines at the University of Nevada reported genuine emeralds had been found in a mine near Rye Patch, Nevada. SUCCESS STORY — A little lady over near Phoenix, Arizona, has made a marvelous success of a desert resort — — hard work and 30 years of generous alimony did it! Think of working the graveyard shift in the Coffin Mine by Tombstone Flat, in the Funeral Range, near Poison Springs in Death Valley. J. R. Wilson of Salt Lake City said he did it. 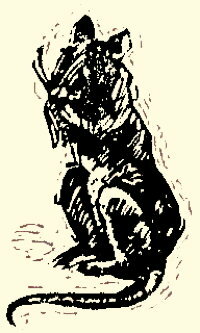 Roman Hubbell of Gallup confirmed the birth of a colt, "looking like a donkey" to a mule owned by his brother, Lorenzo Hubbell, Indian Trader at Oraibi, Arizona. Old Timer McRae who lives just west of Fort Oliver, says 7 out of 10 that get bit by rattle-snakes are bit by snakes that have been put in bags, boxes or cages. Mrs. C. L. Jackson of Tulia, Texas, says she pried open the mouth of a snake she had killed and found inside a dead toad. She opened the toad's mouth, inside was a live bug. Tombstone, Arizona, has the world's largest rose tree, over 65 years old, not the world's oldest rose tree, but the largest. 10 feet high, it covers an arbor of 3,000 square feet with hundreds of thousands of blossoms. Dr. Carl Hazeltine of San Jose State College proves tarantula bite trifling. Only reaction, he reported, was that the index finger of his hand, where the tarantula stung him, felt cold and numbed for a few hours afterwards. S. C. (Tiny) Perry, of 1000 Palms, says today folks are soft, they have drug store medicine for every scratch. The only antiseptic in pioneer days was turpentine or tobacco juice—. Tiny took care of a sidewinder bite with tobacco juice last month. 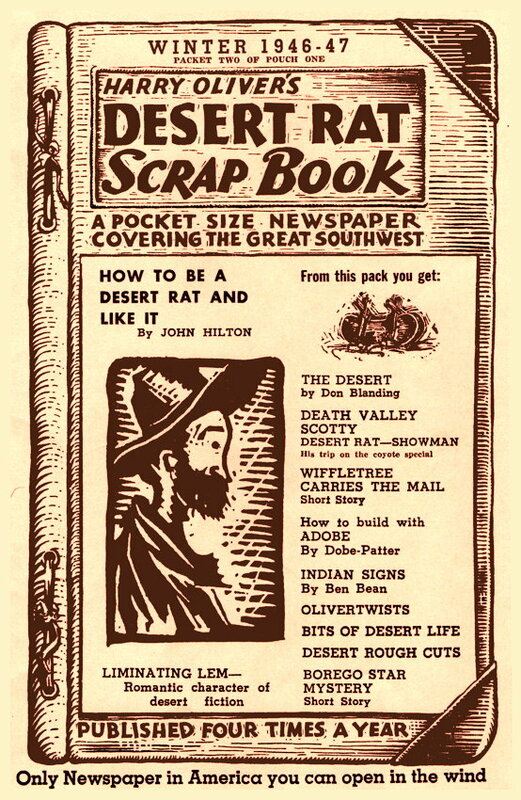 This Desert Rat Scrap Book is planned to bring to you the Lore of our great desert, from Eastern Oregon south to Mexico, from California east on into Texas. 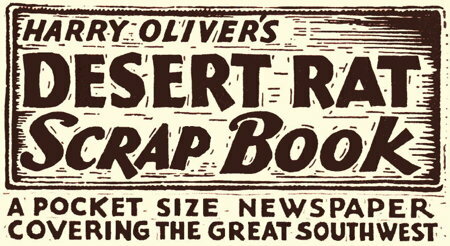 This great arid area has a wealth of Desert Folklore, humor, tall tales, wit and banter. It's search has been my hobby for years. "Your humor is refreshing in its decency and as American as apple pie and cheese." 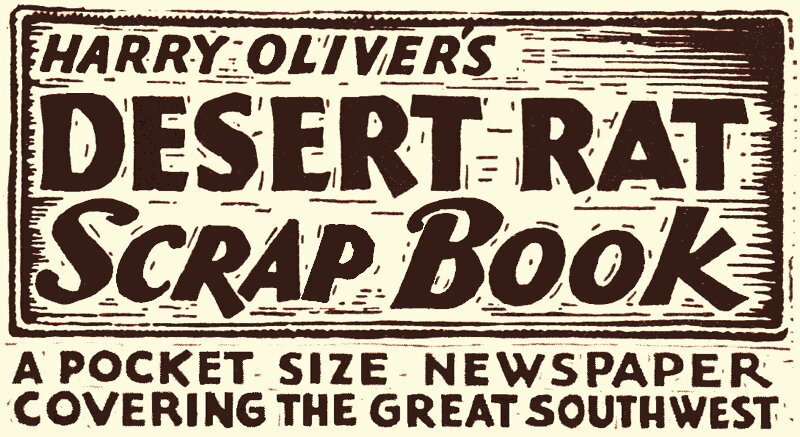 If you keep these packets, along about 1949 you will have about all the Desert Rat Stories there are — you will probably have some of the stories two or three times. As to that 117 in the shade — you know, you don't have to stay in the shade all the time. The Desert Rat is to the desert what the man about town is to the metropolis. The only difference is the possibility that the man about town might really be a rat. All smart mice have AELUROPHOBIA, (which is fear of cats). The Kangaroo Rat is so-called because it hops about on its hind feet. One of the great compensations of old age is that you can do as you please. To produce a bushel of ear corn in the desert requires about 15 tons of water. Some spiders can live 5 years without eating and show no ill effects from lack of food. Carson City, Nevada's capital, is the smallest State Capital in the U.S. — 2,500 population. Wild tobacco that the early desert Indians smoked smelt like burning tarred hemp rope. 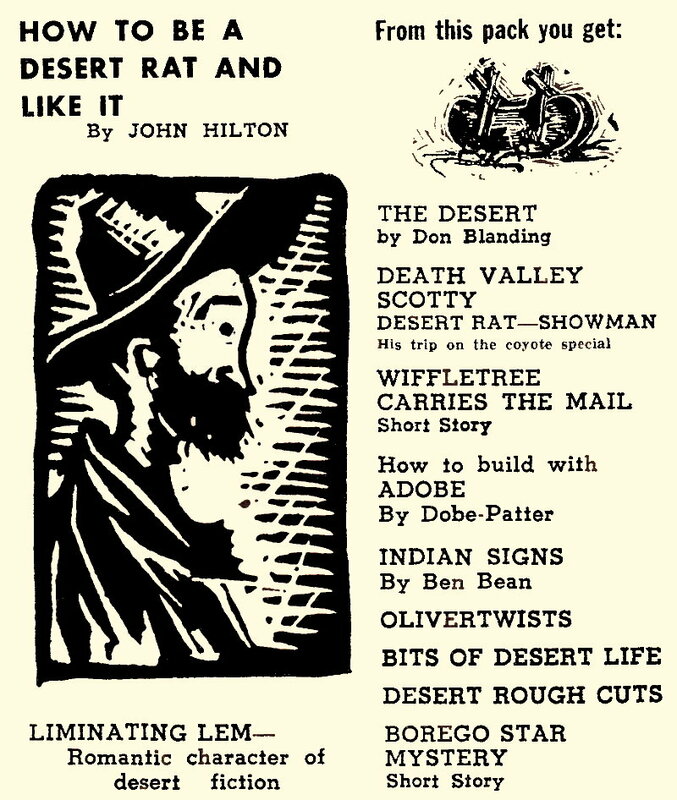 An honest Desert Rat is a masterpiece of God — says an old ballad — What, no tall tales? 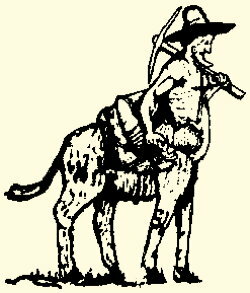 Kellog, Idaho, folks claim their richest mine, The Bunker Hill, was discovered by a burro. 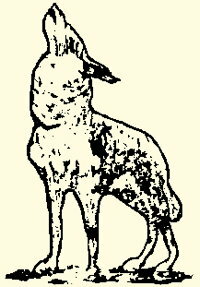 It is estimated that more than 5,000 antelope are ranging in Modoc and Lassen County, California. Lightning has traveled down a lode of ore and shocked miners working at a depth of a thousand feet. 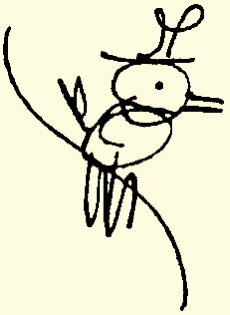 Duck hunters, that is, old timers, asl where are hte bread dates of years ago. Date shops don't have them. Conditions on the planet Venus are so nearly like those on earth that the two planets are spoken of as sisters. The Indian on the "Buffalo Nickel" was modeled by Chief Two-Gun White Calf of the Glacier Park Indian Reservation. The black widow spider is so called because she spends most of her life as a widow. She eats her husband soon after the wedding. The highest air temperature ever measured on earth occurred in Tripoli during the summer of 1922, when the temperature was 136.4 degrees above. Old Desert Rat Steve (here long before air conditioning) Ragsdale can remember way back when it was all right to be a Republican. Indians prefer black hats, because they acquired the habit of wearing black hats when the Union Army gave them their extra hats after the war between the States. Dry Camp Blackie has a new invention, a rattlesnake burglar alarm, the rattles are on springs and buzz if you don't know your way around Blackie's place. 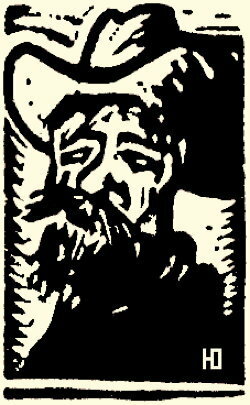 Dry Camp Blackie won't read Los Angeles papers anymore — calls Los Angeles the home of Muscatel Murders — says out here in the desert we drink whiskey and if we kill a man we just kill him. Says those low-down Muscatel drinkin' loafers of the city of the angels want to kill women and ain't satisfied till they cut'em to pieces. 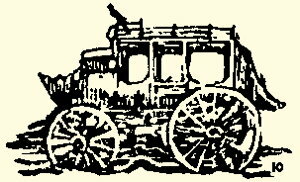 It was Colonel Kashin who wanted to know how it was that the old Butterfield stage coach was down alongside the store an' not up on rockey knoll where it took thirteen men and a team of mules to put it. It was to be a monument to the old Butterfield stage road that went from here right through the Salton Sea, long before she filled up with water in 1906. This is the thirteenth time this week I've had to tell how the old stage coach got back to the store. Col. Kashin was kind of the foreman of the job of draggin' that old hack to the peak of the knoll an' he asks me why the sudden change of location. It was Wiffletree that was responsible. 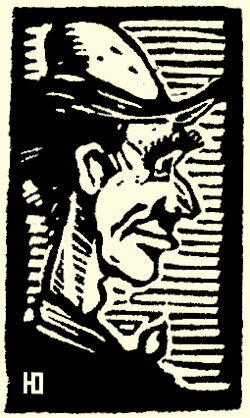 Wiffletree, the old timer that knows all the stage stations, an' roads an' can tell you about all the drivers that could snap the ashes from a cigar in your mouth with the silk of their twenty-foot whips. Well, a long time ago he was a harness boy with hopes of drivin' a stage someday himself, and he was growin' as fast as he could so's he can cash in on his ambition. Just as he got the lines of a six-horse team, the Santa Fe was put through an' the stagin' stopped. He discovered my museum here and got to readin' those dime novels about Nick Carter, Buffalo Bill, and Jesse James that I had been collectin' and are so hard to get now, since the youngsters got to readin' "True Confessions." One day he kinda got worked up over "The Holdup Of The Overland Stage" and figgered he'd of done better by the coach and passengers if he'd been at the reins. He wanted to work out his system before he told us about it, so he takes his whip with him and climbs up the knoll and into the driver's seat of the old stage and starts on his imaginary Overland Trail, pretendin' he's the most darin' six-team driver of them all. He gets so excited crackin' his whip, and drivin' through imaginary bandit's horses, with his own imaginary team at the dead run, that he releases the brakes so's the horses can make better time. It was the greatest moment of his life. The stagecoach almost flew as it came down the hill and smashed into the store where it is now. 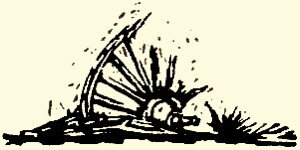 The point of the wagon tongue knocked out the bung of the pickle barrel, which is a bull's eye if I ever seen one. 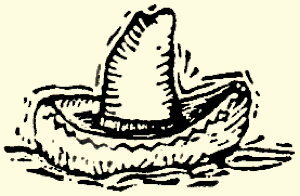 As we picked Wiffletree out of the pool of brine, he muttered a holdin' his chin, "Doggone, I'd a made it but for that last bullet." A fella has the right to think he's been shot then the mark is a'showin', so I didn't say nothin' about the clothesline that ketched him under the chin. —From my book "Desert Rough Cuts"
Americans no longer are "Gringos" in Mexico, not even to the Indians, Octavio Spidola, Mexican Ambassador to Chile, said. The word "Gringo" never was specifically to Americans, but a term for any foreigner. Randall Henderson, owner and publisher of the well-known Desert Magazine, receives more fanmail than any three stars in Hollywood. Calculatin' Cal got his nickname for always "calculatin'" something, and it's always something no one's got any business to calculate about. For instance, he calculated that if hay was always kept on top of an adobe shack, like he keeps his, and burros were always looking up at it like his do, and wanting it, it would take twenty-five thousand years for the burro to grow a neck like a giraffe to reach it, or to sprout wings and fly up after it. Cal's strange calculatin' has always been one of the most interesting conversation starters we have at the Busy Bee Store here in Borego, and the bunch of counter-sitters got to worrying when he didn't show up for three weeks. Then all of a sudden it came to Slim Law (our Deputy Sheriff) that if no one had seen Cal for three weeks then we had a real disappearin' mystery here in Borego and he'd get busy and do some calculatin' as to what happened to Cal. Figuring that I got to report all important facts down here and knowing I can get away from my store-keeping some, I plan to help Slim find our star argument maker. Next morning we gets aboard a coupla Doc Beatty's horses and takes a short cut across the desert to Cal's door. We knock at his door, and getting no answer go in. The place looked and smelt like someone was living in it all right, but Cal wasn't there and after an hour and a half of calculatin' we started back no wiser for our trip. Hours later Slim can't think of no clews nor motives, can't find anybody what's seen Cal for more'n three weeks and is thinkin' hard as he can, when I says to him, "Let's get in the Ford, take the west road and ride out and look at Cal's place and see if there's any light a his shack." Slim says, "Good idea," and I close up the store and we hit out for the hills. Acomin' out of Lonesome Squaw Canyon, and roundin' the point we could see a light in Cal's shack sure as could be. Slim wants to leave the car and hit off through the desert for that mile and a half, but thinking about them pesky sidewinders awindin' around that rocky trail on warm nights, I tells him that I will take him over Cal's road in the Ford next day so we went home feeling a whole lot better about Cal's disappearance. Well, next day we go over Cal's own road and drive right up to the shack and there ain't no Cal no place. There's been an addition to the coffee grounds, and there's tracks around the house. 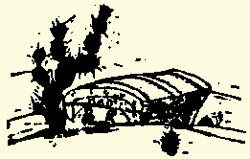 Slim makes a circle around the place and reports no tracks going in or out except the ones we made, and asks me if Cal ever got to calculatin' with them glider planes, athinkin' he might take off from his south-east forty, what has a bluff, high above the badlands. Going back to the shack Slim sits down to do some Edgar Hooverizin'. He picks up an old newspaper from the table, reads it a little, then lays it down, goes over to the dusty shelf atop the fireplace where Cal keeps some mining books, runs his finger along in front of some and can see by the dust which ones Cal's been reading. Coming back to the table and helping himself to some of Cal's tobacco (like them big detectives do in motion pictures), Slim says, "Sit down, Dr. Watson, and I will explain the disappearance of Cal and let you go and find him yourself." You see, Cal came to Borego eight years ago, and took up a claim because it had a hole that he said was a good start for a well. He calculated the hole would save him a week's diggin'. He dug down about twelve feet and hit a solid chunk of something that was so heavy he couldn't budge it. He tried to dig around it to get hold of it, but the hunk kept slipping in deeper. He hit water then, so he gave up and left the damn boulder where it was. "Now," says Slim, as he fills his pouch with Cal's tobacco, "my first clew was the newspaper I found with Cal's thumb marks all over it, one side tellin' how to make homebrew and the other about one of them meteorite things and how they're sometimes full of platinum. Looking at Cal's books showed me which he was reading, so if you want to say hello to Cal, just go look down the well." I did, and sure enough Cal was down in that water and mud (and I could see he wasn't makin' homebrew) trying to get a line around that hunk of rock. So you see Slim Law is a right keen calculator himself, and it's sure consolin' to know our Deptuty Sheriff can find his man even if he is hanging on to a comet thrity feet underground. Nine out of ten 'dobe houses are never completed, and this is why — buiilding out of this free building material is not only hard work, but lots of hard work — you must move tons and tons. So, when you plan your layout, don't build a place for your car, or a chicken coop first, just to see how it goes. Start with your living room — a large room with doors on three sides and a fireplace on the other. If you do this you have a place to sit when it's hot and a place easily kept warm when it's cold. And if you get tired of 'dobe building (and you will) you can add rooms on two sides, and that large room in the middle makes it a 'DOBE HOUSE which in turn makes you a worth-while Desert Rat. If the soil is not right, don't have bricks made somewhere else. Haul in clay and gravel and make the bricks near where you want to use them. Clay-mud-adobe — call it what you will, but it must have gravel with it to mix a good 'dobe brick — about one third mud and two-thirds gravel makes a strong brick. Putting straw in bricks can only help if there is to be a lot of handling. In one year the straw dry-rots and makes nice tunnels for the termites to travel in on their way to any wood you might have used in your house. If you want to use the water-proofing for your outside walls, O.K., but inside walls should be of plain adobe, it takes the shock of earth-quakes, while the harder, brittle oil bricks don't. This is why the Brawley City Hall couldn't take it). That's your lesson for this time, more next edition. But, I want to tell you this earthquake yarn. During an earthquake in a certain desert town, the municipal building was all shook up and the councilmen left in a hurry. The clerk, a man of rules and regulations, didn't know how to give his record the proper official business tone. Finally, he made this entry: "On motion of the City Hall, the council adjourned." Mr. Dart, writing in THE WESTERN TRADER (2003 59th Strete, Sacramento, 17, California — 15¢ per copy) gives this interesting picture of GOLDFIELD today. Inside the Hurry Back Trading Post are great maps showing the mineral formation and ownership of properties. A real western boom is in progress. In the summer of 1945 city lots were begging for buyers and sold at 60 cents each. Now are sold at $25.00 each. Some in the outer city at $10.00, a real chance to make money. Houses sold for 15 to 20 and 25 dollars, special at 300 dollars a dozen. Now the cheapest house in town with lot is about 50 dollars with windows pushed out, doors out of line, holes in roof at no extra charge. Really this is the life in the far west — and the farther west the more life. Gambling is wide open and drinking the main pastime. But fortunes are still being made on mines and mining properties. Many stock selling companies blew up by crooked officials or high salaried office heads bled the company dry. 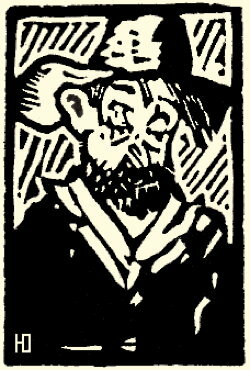 Many a poor prospector held on — lacking the capital to buy machinery, he died or went back east to live with relatives. Then all these vast thousands of acres of mineral land reverted to the State for taxes. In March, 1945, the laws were amended to sell this land at very nominal fees in larger groups, which are about $2.00 per acre. In some counties claims can be had as low as 18 to 40 dollars. There are 17 counties in Nevada. Goldfield is the county seat of Esmerelda county. Here the tax rate is such that the city school tax and county tax makes a mining claim sold for delinquent taxes, about $43.82, then $6.00 more is charged for the deed and recording. After four miles out the price is about $1.20 to $1.60 less. Now the question comes up — are these claims worked out? The answer is NO. Many have just been surface scratched, not enough to prove if they were valuable or not. Many have deep shafts up to 800 feet deep, costing many thousands of dollars. All claims sold by the State are sold at one price, regardless of value. Each county making its own rule. You simply take your chance. One claim produced 60 million dollars. These claims are all patented in the United States Land Office and the buyer gets all the mineral rights. This is not to be compared to stock selling. The buyers of the land own it and can live on it or do anything they wish with it. 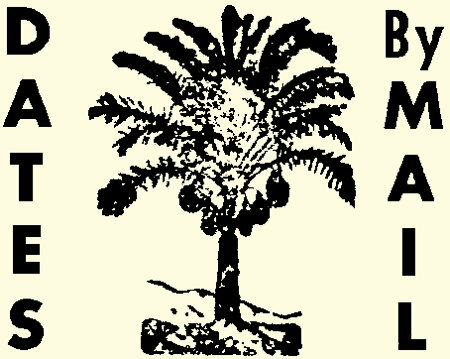 Write for prices or stop in if you are near this beautiful oasis of Date Palms. X MARK your map. We are on Highways 99-60-70. 12 miles West to Indio.  If you are looking for the unusual, he has it. JOHN HILTON Highway 99 Thermal, Calif. The fine thing about handling all the mail on a newspaper like this is that you can sometimes make the mail man ring twice. 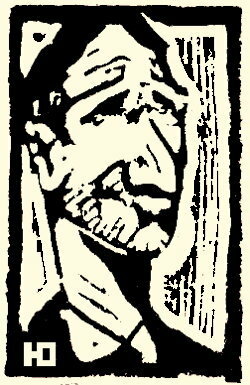 I received a nice letter from Don Blanding with a check to pay for ten subscriptions, to be sent to ten people as well-known as he is. Well, that made Harry Oliver, the Distributor of this newspaper, happy, but did not satisfy Harry Oliver, the Editor. The Editor remembered a poem of Don's, "A Desert Poem," that had sure clicked with this desert rat, and I knew it would go over big with you readers. So, I wrote and asked him if I could us it, and, by golly, he said, "yes." And here it is. Thanks, Don. Probably one of the worst of all unjust attacks on Indians by American Indian fighters was the Sand Creek, Colorado slaughter on November 29, 1864. About 900 soldiers went into this peaceful village of Cheyenne and Arapaho Indians and murdered and scalped 300 men, women and children. The tragedy was later condemned by a Congressional investigating committee. TILLAMOOK, Ora.— A diamond ring was uncovered during the razing of an old building here. The ring was found by Jimmy Taylor, one of the wreckers, who said he thought it must be at least 35 years old. We can supply you with ready-cut pine blanks, with complete step-by-step instructions for finishing 50 different subjects. Most people like to do things the easy way, but not Johnny Westen. Recently he attempted the impossible and went fishing on Dry Lake which did have a bare covering of water due to southern Nevada's unusual weather of the past week. His first day's catch was nothing. Undismayed, Johnny fished another day, and another, and on the fourth day, he had the last laugh, for he returned with a gallon jar of lung fish. Pictures were taken of the fish and a couple were preserved as samples. How they live in the mud of the lake was told; the way the mud forms a protective coat, but melts off when the rains come, and then forms up again as the lake dries up. The fish, a type of lung fish, have both eyes on top of their heads and a half shell effect. What Johnny intends to do with the rest of his catch isn't known for the average size of the lunk fish is between three quarters and one and a half inches. Calculatin' Cal (who is here in the desert to stay) sez, City Folks step on foot throttles, insert coins into metal slots, scan headlines, crowd through clicking turnstiles, turn on radios, shoot over the surface of the earth in a mechanism propelled by gasoline with all the speed they can and don't know WHY. Cal sez life is all wrong, men build cities, tear them down again and build them bigger. Points out that unless city life is made quieter, the scientists say new diseases are going to develop. Cal sez although the cocktail has only been INVENTED for 30 years, there are more than 1700 different mixtures on the record. Cal wants to know why them smart scientists and geniuses don't take over and finish their job. Wants them to tell the radio outfits what to send out, build cities and streets right the first time, stop the city noises, and tell us which of them 1700 cocktails is fit to drink. 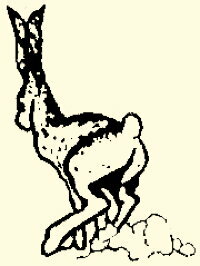 ALTURAS, Calif. — The three best theories of how a jack rabbit got stretched across the telephone wires here and short-circuited them were as follows: First and least probable, that it jumped there; second, that an automobile struck the rabbit and hoisted it there; third, that a hawk carried it off and dropped it there. Verses such as this, followed by the cryptic signature, Black Bart, the PO8, were left at the scenes of his hold-ups by Charles E. Boles, masked terror of early California highways. He robbed 28 stages but never fired a shot nor injured a person! Did you ever get lost in a forest? If you think that's tough, you should get lost in a petrified forest and feel the chill of petrified shade and hear the echo of petrified calls and think petrified thoughts. You can't get petrified thoughts on ordinary receiving sets, you have to be an old fossil like me. But fossil or no fossil, here's what I saw today in this petrified forest: three petrified woodpecker holes with eggs and a petrified bee tree—bees, honey and all. Haven't seen any petrified lovers' hearts carved in tree trunks. Maybe our petrified ancestors didn't go in for that. But to make the trip and the picnic lunch a real petrified affair, I served by guest hard tack and hard boiled eggs (nearly petrified). The forest ranger here says there's no truth to the rumor that from petrified acorns petrified oaks grow. HELENA (Mont.) Gold is gold wherever you find it—even in a city dump—according to Sheldon Breeden. Breeden asked the Helena City Council for permission to sink test holes on approximately 20 acres of city property. The location is the bed of Last Chance Gulch where miners filled their pokes with nuggets and gold dust in one of the great strikes of the last century. Talking to an old homesteader over near Travertine Point. 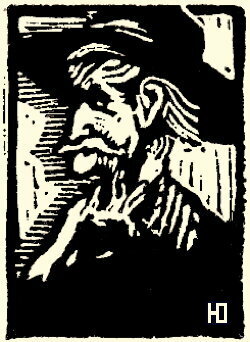 "Toleration," he wailed, "it only takes ten minutes to get married in Yuma — six weeks to get a divorce in Reno — but Uncle Sam says I have to stay here five years to prove up on this desert claim." Makes me think about that age pension of mine, it's coming around the mountain, too! 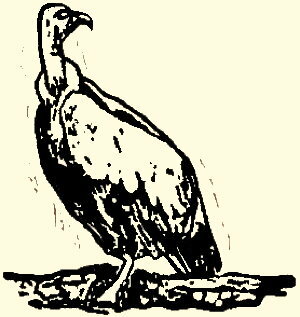 Nothing bothers them, they live in perfect accord with rattlesnakes and prospectors and desert rats and wandering tourists and desert birds . . . 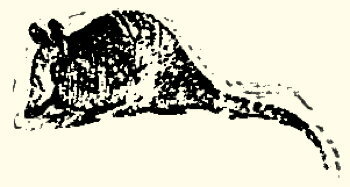 They suffer in silence tales told that they have vicious bites and their bite is as dangerous as their cousin, the Gila Monster, who lives with them, but he's an agreeable critter who never bit anybody, even if he did go insane and use his teeth . . . if he has any teeth . . . The horned toad is a pretty nice critter always minding his own business. He doesn't care what man does, just so he doesn't step on him.
. . . Received a letter from M. S. (a desert lover) saying she won five dollars betting on 'em in a race. They even get along on (roll your own) dude ranches.
. . . I think the Horned Toad should be adopted as an emblem of peace for they sure are symbolic of staying out of trouble. We haven't got very far following the dove and olive branch, mebbe we should give the horned toad a whirl at it. Indian Sign No. 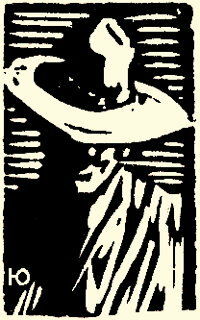 1 — When you see a squaw carying her papoose on her back and it's the wrong side up — — it's a sign she's "in a hurry." Indian Sign No. 2 — When you see an Indian Chief trying to start a fire with two dry sticks — — it's a sign his grandson is a boy scout. Indian Sign No. 3 — When you see an Indian with a sign on him reading "Wet Paint" — — it's a sign he's a cigar store Indian. Indian Sign No. 5 — When you see an Indian walking pidgeon toed — — it's a sign he will never have fallen arches. 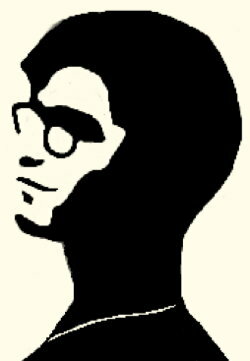 An Editor and Publisher of a Desert Rat Humor Newspaper must be as hardshelled as the Desert Tortoise, and like the introvert of the reptile kingdom, must have perseverance. It is said that the Desert Tortoise will live a hundred years — this Editor don't hope for that! The Tortoise has a "tank complex" and will struggle and ram against interfering obstacles in an effort to push on. This, and the fact that we both must stick our necks out to get anywhere kind of makes us birds of a feather. Besides, we both like the Desert best — come Hell or high water. Yes, you bet, I'll crawl along with my hard-shelled friend, and like it. The Tamarisk is a native of Africa, is also found in Arabia. It was introduced as a windbreak in California desert regions when Professor J. J. Thornber of the University of Arizona sent eight cuttings to the Government Date Gardens at Indio, California, in 1916. Because of its rapid growth and adaptability to desert conditions, hundreds of thousands of these trees are now growing around desert ranches. One was found lately near El Paso. Going West, but still in Texas. In Los Angeles about 41 years ago, Death Valley Scotty showed up and went on one of his highly publicized sprees! He managed to spend $6,000 in one saloon — then bet a man he could get to Chicago in 50 hours. Fooled them all by hiring a special train, got the right of way and made it in 45 and created a record that stood for many years. When Scotty sobered up he found he had spent $126,000! (That train ride set him back $9,000), Not minding this in the least he merely disappeared into the desert wastes of Death Valley and soon came out again with another huge roll! Among the hideouts of this famous desert character, Barstow, California stood at the head of the list. It was there that Scotty cooked up the train plans 41 years ago. 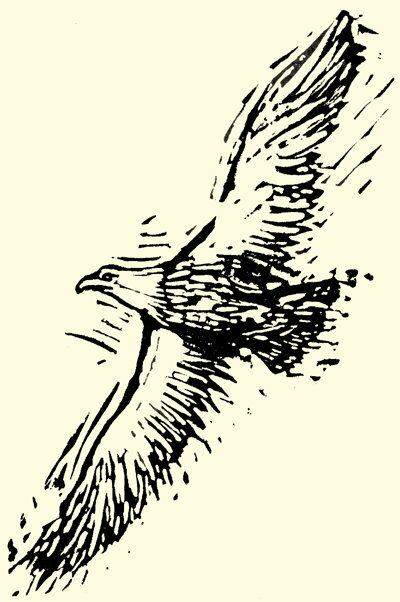 He even rented the old stone jailhouse during the gold rush days to keep his packs and supplies for the eight day trek to Death Valley across Wingate Pass. Or, if you prefer will send some thrown away in Hell Raisin' Goldfield Gold Camp 40 years ago. Small bottles high price — Big ones cheap — its the way we do business out West, the more you buy for your money the less income tax we have to pay. Send your $ Dollar Bill to Wild $ Dollar $ Bill. He's collecting them at Goldfield, Nevada. 1152 So. 2nd Ave. Arcadia, Calif.
an autographed copy mailed C.O.D. . . . . .
Next edition the editor wants fewer ads, smaller ads, and they're going to cost more. Port Mecca, of Salton Sink, is famous for its quiet Sundays that sometimes last 7 days. The prickly pear, known also as the Indian fig, is neither a pear nor a fig, but a cactus. Want to know how it feels to have a butterfly stomach? Just swallow a Mexican jumping bean. The skunk is a dainty animal. Yea, as dainty as your cleanest house cat, that is, with the lesser smells. A Nevada paper says the moonlight in that State is so bright that the owls are dying of insomnia. A Palm Springs poet is doing well. He sent a New York magazine three poems, and they sent him back five. The American Indian has never had a substitute for liquor; most all primitive races in other parts of the world have. With sand as far as eye can see my youngest grandchild nagged me for a sand-box till she got one — (it has no bottom). 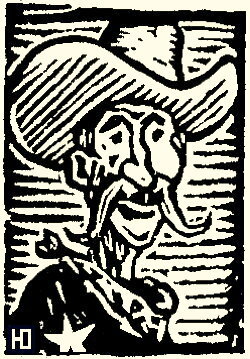 A prospector advertising for a wife in the Brewery Gulch Gazette specified that her hand must be small enough to go inside a No. 2 lamp chimney. Wesley J. Herring, sprightly 98-year-old mine president of Wardner, Idaho, denies he has always been a miner. "Just the last 70 years," he says. Even if the fellow that gets talked into buying mining stock should lose everything, his dreams and enthusiasm for the first few weeks are well worth the cost. The largest bird that flies today is the California Condor. It's wingspread is ten feet. It could fly to Florida in exactly — — — what's the use? It don't want to go to Florida. Cats keep snakes away from desert ranches. 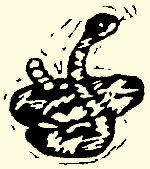 Few cats kill snakes, but they eat the same food as the snake, making it poor hunting for Mr. Snake, who moves on. Have just discovered in reading Samuel Charlse Webster's new book that Mark Twain and I were quite alike in some ways. Mark was the world's worst man of business. At dusk during the summer, 3,000,000 bats swoop out of the Carlsbad Caverns in New Mexico to forage for food. In one night they consume about twelve tons of beetles and other pests. 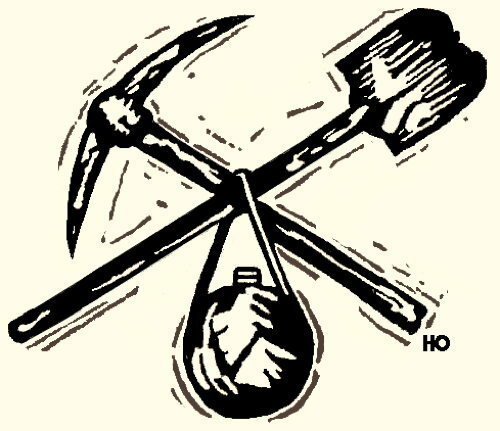 Two Lost Pegleg Mines, Two Pegleg Smiths, so Howard D. Clark tells us in his new book "Lost Mines of the Old West." (Ghost Town Press 50c.) He doesn't tell if they each lost the same leg, but it's a good book.